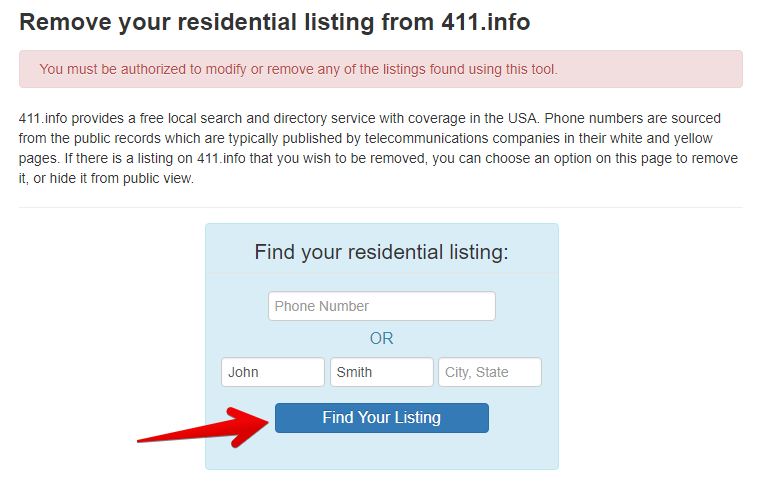 411.info provides search by location, name and surname, phone number. Also, it allows you to find services and business. How to remove your information from 411.info? Unfortunately 411.info has offered no there alternative than a payment for removal. If you want to remove your records from 411.info for a free, visit this removal page. Enter the first name, the last name. Specify the state. Click “Find your listing button”. Find a result that matches whom you’re looking for the most. Once you find a match, click “Remove” button. 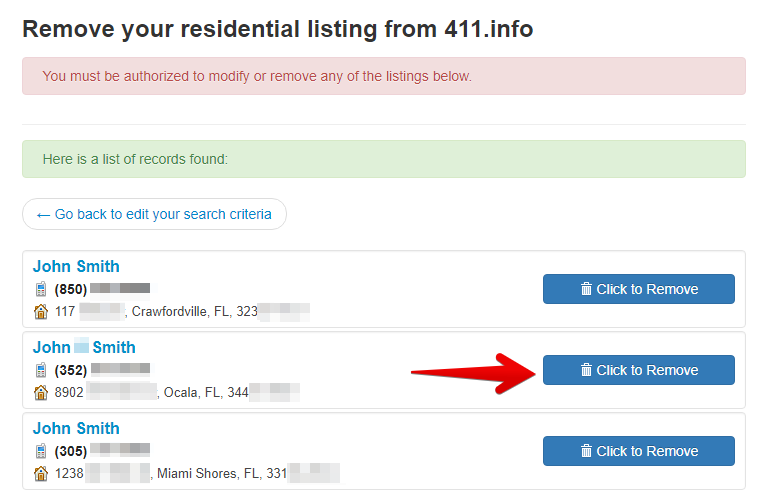 After you pay for the removal, 411.info will remove your records once and for all.